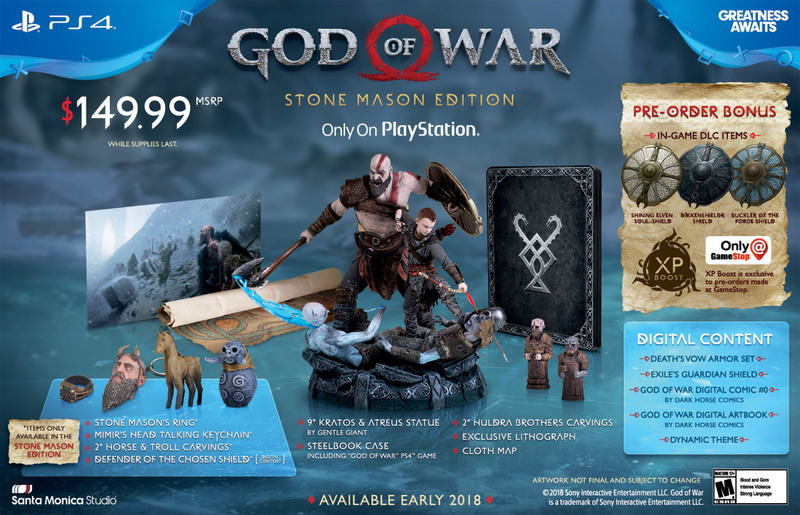 In this weeks Gamestop ad, they revealed that God of War 4 will be getting an “Ultimate Edition” release, complete with a slate of collectibles. 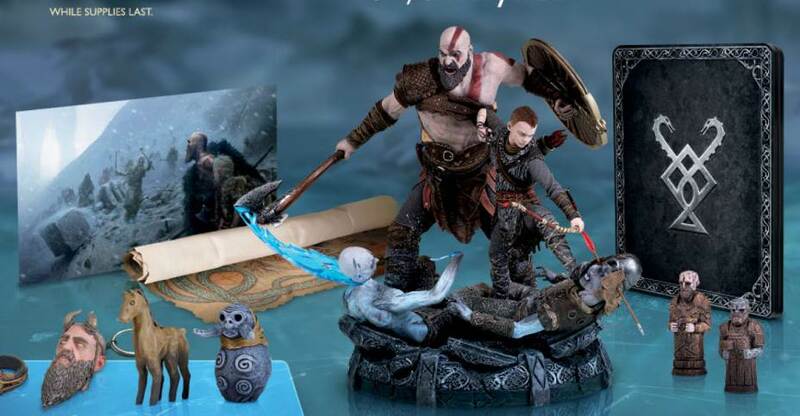 Known as the God of War 4 – Stone Mason Edition, this collection will include a 9″ tall statue of Kratos and his son Atreus. The statue is being designed and produced by Gentle Giant. The collection can be Pre-ordered Here, and is priced at $149.99 with a release date listed as June 30th, 2018. Check out details below and see the statue and other collectibles by clicking the banner image for a full look at the collection.